This camping equipment supplies post is sponsored by Kohl’s, I was paid for this post and received some camping products as compensation. Each year since we have moved to Tennessee we have have made tradition of a summer time family vacation camping trip. We really enjoy unplugging, leaving all the electronics behind, and getting lost in the slow rhythm of adventuring into nature, cooking out, catching a nap, and doing it all again. 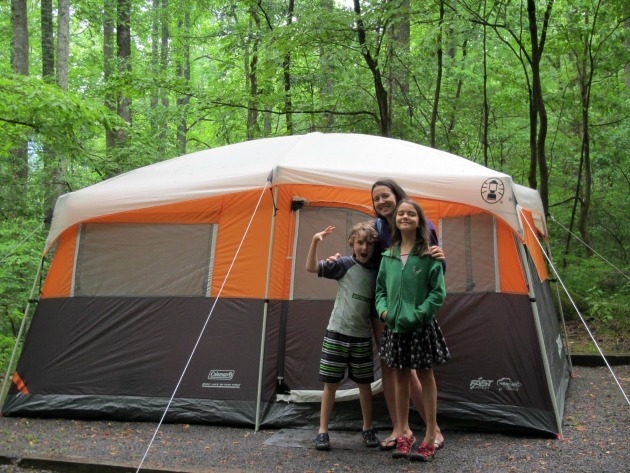 If you can’t wait to get out into nature and relax with your family, here are a few suggestions for camping items to take with you on your adventure. Our Elkmont camp site in the Smoky Mountains. 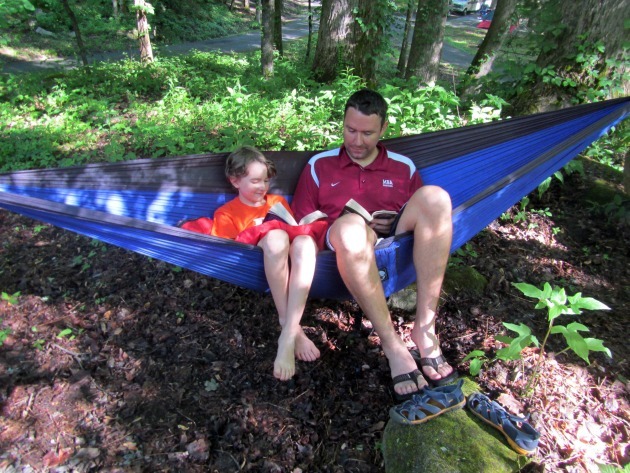 When we first started our annual family camping vacation, my youngest was 2. Now, my youngest is 9. So we have a few years of camping experience and outdoor family activities under our belts. Each year as we planned our trip, we have have worked on perfecting our camping equipment supplies list. I think we may have it down to a comfortable science at this point. The more camping items you have from this list, the more likely you are to feel right at home camping. However, don’t feel intimidated to start without the complete list. We had just the basics the first year and have added to that and improved on the basics as we went. The main thing is to get out there with your family and enjoy some time in nature. Go camping! Kohl’s has a huge camping and outdoor gear shop. My local Kohl’s store has some items but the online selection of camping equipment supplies is way more complete and you can find favorite camping products from: Stansport, Columbia, Stanley, Jamberly, and Coleman. You can check it out at kohls.com It is a great place to start planning your trip and pricing the essentials. I think that your camping tent may just be the most essential of camping items. Of course, there are those that would rather lay out under the stars but I consider a tent essential for camping with kids. My husband believes in a big tent so we can all have our space. This one really isn’t essential. When I was a kid camping, we never used sleeping pads or air mattresses, just sleeping bags. But it is such a nice upgrade! My husband got us a Coleman air mattress the first year we went camping and I felt like a spoiled rotten camper. I still do every year and I just grin when I lay down. The first year we went camping I just used blankets and sheets from home but a sleeping bag is essential if you don’t have an air mattress. Sleeping bags will get plenty of reuse for weekend sleepovers during the school year too. Plus, they pack up so much more neatly and take up less space than your bedding from home. My kids love their Kids Columbia Fleece Sleeping Bags. My husband is all about a high quality camping cooler. He is always so proud of how long it keeps our stuff cool with just one bag of ice. And frankly, I am always so proud of him for taking such good care of us. The Stanly Adventure Cooler is pretty sweet and I would consider it to be among the most essential of camping items. The first year we just loaded up a cardboard box with cookware and prep from our home kitchen. 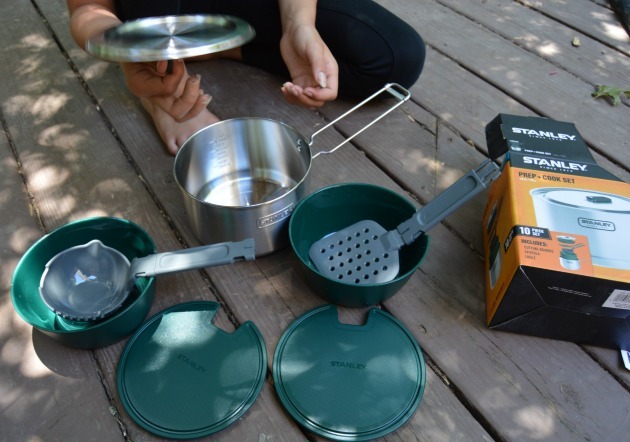 After that we decided, it really is best to have separate camping cookware and prep because conditions are different, you don’t want to mess up your home supplies, and camping cookware is so much more convenient. We love that the Stanley Adventure 10-pc. Prep & Cook Mess Set folds up and stacks up into just one tiny use of space so you can pack with ease. After bringing dinnerware from home the first year, we decided to get a camping dinnerware set that would be more convenient and not have to worry about breaking it or misplacing it or forgetting items we need. We totally dig our new Stansport Enamel Camping Tableware Set. If you can’t do without your morning coffee, bring along a Stansport Enamel 8-Cup Coffee Percolator & Mug Set. If you can’t do without your morning espresso, bring along your stovetop espresso maker. Don’t forget to pack the ground coffee and sugar. Many campsites will come with a picnic table and bench but it is still nice to bring along your portable chairs for more comfortable relaxing and so you can carry them down to the river’s edge to enjoy the water. We are enjoying our new Stansport Sandpiper Portable Sand Chairs. Having a day pack is very handy for bringing water and snacks and a towel along for your hiking trips. The Columbia Clackamas Daypack is one such bag that is a great fit because of its contoured shoulder straps with high-density foam and breathable air mesh for a comfortable fit. Don’t forget some lights. You don’t want to be fumbling around in the dark! 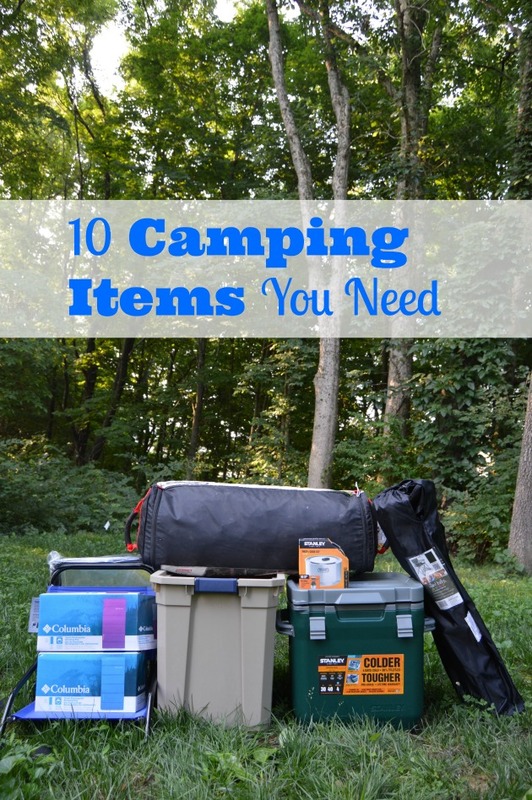 So there you have 10 camping items you don’t want to leave home without! If you have a baby or small toddler, you may want to add a ciao! baby Portable High Chair to that list. And if you don’t, then go ahead and treat yourself to a PahaQue Hammock for camping. All of these camping items and more can be found at Kohl’s Camping Page and are really great to add to your packing list for camping with kids. I hope you found this camping equipment supplies list useful and you enjoy a great camping vacation with your family! I love the list and I am really loving that hammock you guys know how to do it!